Before I even begin, let’s all gather in prayer that the ice cream machines everywhere will be fully operational for us to even try this treat. Everyone join hands and say your prayers. Alright, now let’s begin. So everyone remembers the first days of the McFlurry right? When they had an M&M’s McFlurry, a Snickers McFlurry, and other flavors. One of those flavors was the Twix McFlurry but unfortunately, it was discontinued. 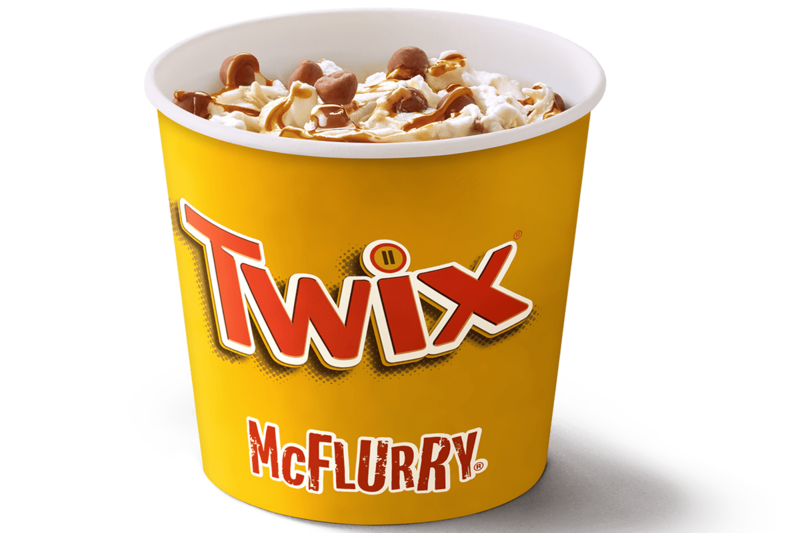 Now, for a limited time, the Twix McFlurry is back! Now, I love me a good Twix bar…or two. So I can only imagine how good a Twix McFlurry might be. I didn’t get the chance to try it when they were around before, so I can’t be sure, but I can’t deny the power of chocolate and ice cream. There is one catch to all of this though…only those in the UK can try it. Seriously, why aren’t the fast food places here in the US as nice? We never get anything. Well, if it was in the US would you be down to try it?